This mini is so simple, but so elegantly awesome. It doesn't hurt that the base model is pretty great on its own already, but when coupled with the head and weapon swap, it really feel like its own model. I particularly like the head swap. I'm a fan of the Retributor helmets and it really suits the regalness of this guy. The spear gives him a bit more of a Grecian feel to me. The painting is so crisp and smooth and perfectly bright. It definitely has an 'Eavy Metal feel to it, which I love. 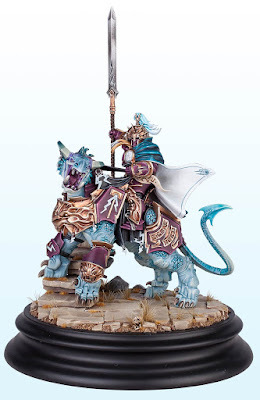 The purple against the light blue of the Dracoth works great and I like how the cloak is tied into the Dracoth skin. 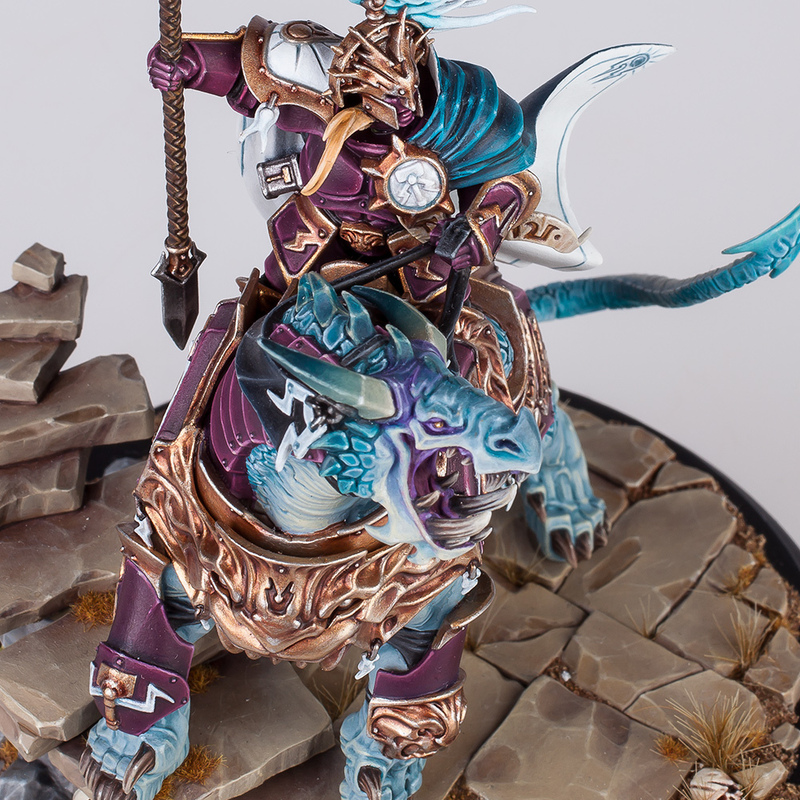 He even managed to work some purple into the shadows of the Dracoth to tie the armor in. The base is extremely simple, but does a great job of framing the mini without overpowering it. The rather neutral color scheme helps in that effect to, making sure that the model is what catches your attention. 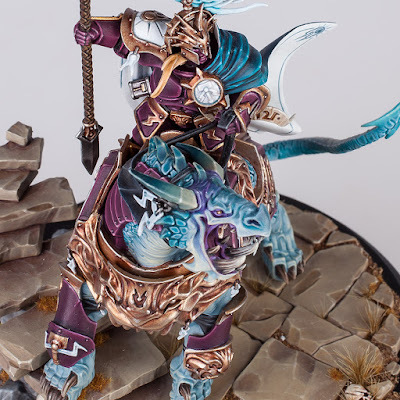 I would definitely love to see more Stormcast painted in this way. It's no wonder it won the gold in the Large Model category of the 2016 AoS Golden Demons. A much deserved win.